Jamming the line of scrimmage and daring unbeaten Maryland to throw, the Owls shut down the Terrapins’ potent offense and pulled off a 35-14 upset Saturday. “I’m really proud of how they started fast, how they didn’t let go of the rope and finished strong,” Collins said. “We didn’t do anything on offense today, so I take full responsibility for this loss,” Canada said. The sour performance took the luster from the Terrapins’ home opener in a season dedicated to fallen teammate Jordan McNair, who collapsed during a training session in late May and died of heatstroke two weeks later. While the university investigates the circumstances of McNair’s death and the culture of the football program, coach DJ Durkin is on administrative leave. Canada has been running the team since August. Darnell Savage’s 23-yard interception return halved the deficit, but the Owls added a touchdown just before halftime with a 65-yard drive that included Armstead’s 25-yard run on a third-and-9. Temple: The Owls needed this victory to show themselves and their fans that those first two games won’t have a bearing on the rest of the season. Beating a Big Ten team can only be a confidence booster before entering play in the American Athletic Conference. Maryland: Maybe it was overconfidence, perhaps Temple figured out Canada’s scheme or maybe the Terps aren’t that good. 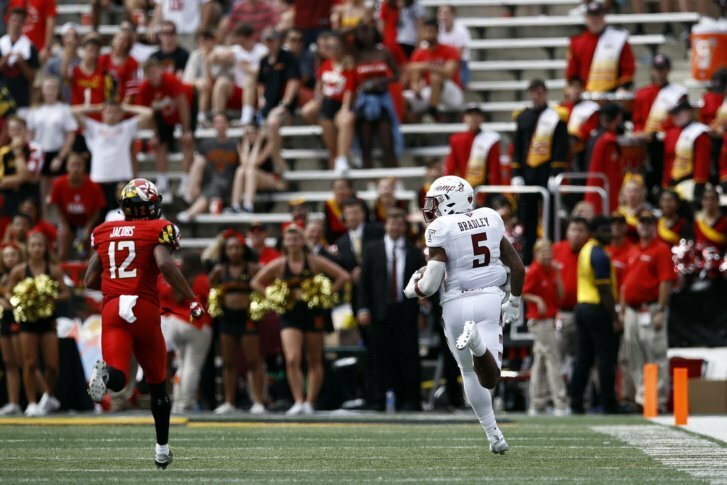 Regardless, this is not the way Maryland wanted to play before opening in the Big Ten.